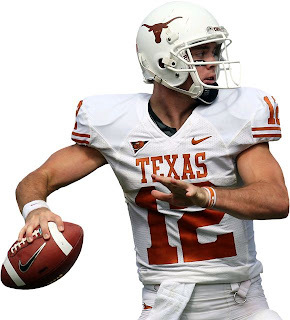 Best of luck to Colt McCoy and the Texas Longhorns tonight as they take on Alabama in the BCS National Championship game in Pasadena, California. Hook 'Em! UPDATE (1/8/10): Get well soon, Colt.